Database Fanedit Listings Shorts Dude, There's Your Car! - Cut closing credits. The film now fades out from the shot of the sky. If your in a rush to watch Dude where's my car, and you don't have time to watch the full thing, then this edit is for you! This is a fun little edit that gets right to the heart of the story. 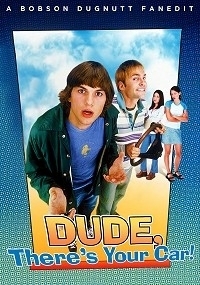 My new go-to version of Dude, Where's My Car? This would've been a great addition to the Love Consecution.